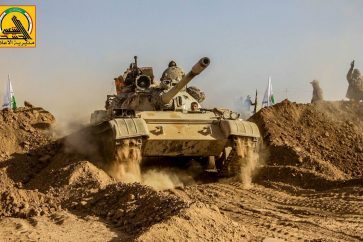 Bahrain’s prominent Shia cleric Sheikh Issa Qassem and Iraq’s senior Shia cleric Grand Ayatollah Ali al-Sistani Iraq held a landmark meeting on Friday in the Iraqi city of Najaf. 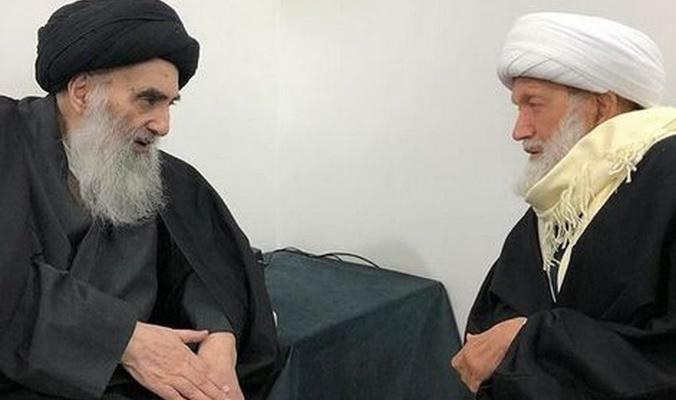 Ayatollah Sistani hosted the visiting Sheikh Qassem, who flew in from London earlier in the week after undergoing months of surgeries and other medical procedures due to his ailing health. Ayatollah Al-Sistani wished Sheikh Qassem a full recovery and extended his greetings to the people of Bahrain. Sheikh Qassem is in Iraq for the first time in five decades visiting the country’s holy shrines. The 80-year-old cleric had spent years living under virtual siege from Manama’s security forces before leaving Bahrain for treatment in July of this year.